The road to absolution is long and fraught with hardship. But you are not alone. 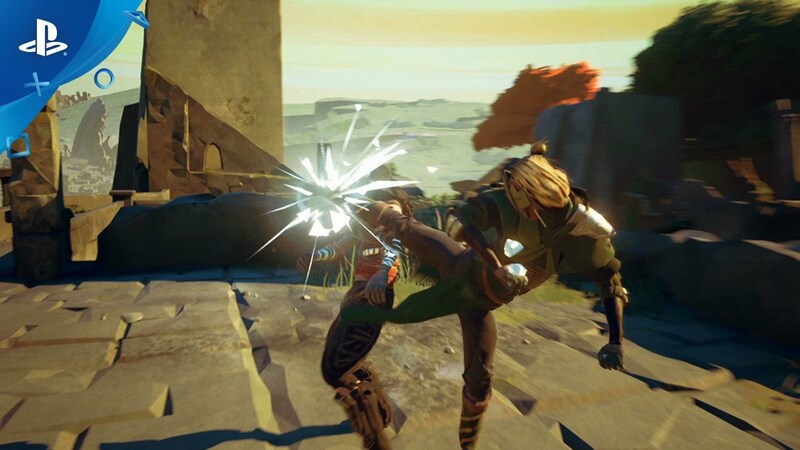 Absolver is an online action game in which players explore the ruins of the fallen city of Raslan, which was destroyed by a massive earthquake centuries ago. 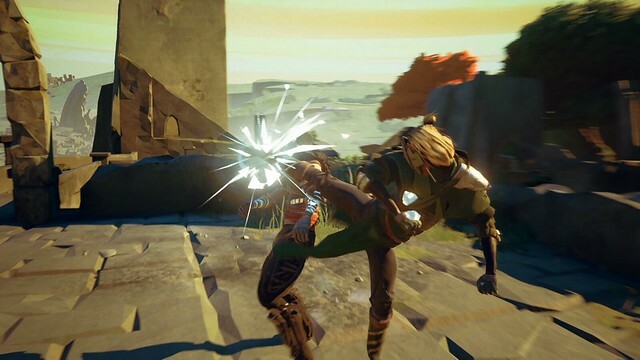 As they explore Raslan, players will meet other Prospects like them — volunteers who have vowed to become Absolvers — and build relationships with each other. The road to Absolution is a hard one, and to prove their worth to those that are watching, Prospects will have to hone their combat skills. When we created our studio Sloclap two years ago, our intention was to make an action game with a combat system that was accessible, but deep enough to support PvP combat in the long term. We had some taglines which we always referred to: “Combat is a dance,” “Movement is your weapon,” and “Make your Move.” This would be a game in which the beauty and subtlety of martial arts combat can be seen and felt, where body dynamic and impact sensations are paramount, and in which players will create their own combat choreographies in real-time. 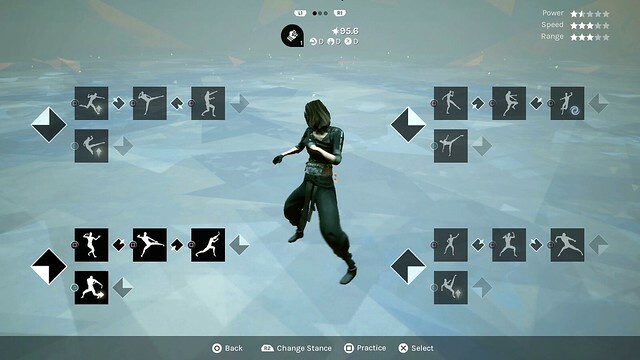 As seen in the above video, we based the game system of Absolver on two main components — the Combat Deck and the Combat Styles — to reach these objectives. The Combat Deck is the list of attacks that are available to the player in combat. While fighting, players can select one of four stances which correspond to their orientation relative to their enemy. In each stance, players have different attacks: a sequence of up to three attacks, and one alternative attack. Each attack starts and finishes in a specific stance, so a sequence of attacks can loop on itself, or send the player to a different stance. With different parameters (damage, speed, range, etc.) and special properties, players can create their own unique strategy, and execute it tactically in real-time. Alternative attacks can be used during a sequence to switch to a different stance and create mix-ups. Attacks usable in the Combat Deck are learned by fighting others in the world; by defending themselves against unknown attacks, Prospects will progressively learn them. However, if they want to acquire the Attack XP accumulated during a fight for good, they have to win that fight — otherwise the memories of that fight will be forgotten as they are folded by their mask. A Combat Style is chosen at the beginning of the game — different styles improve different character stats, and each style has a special ability that can be used tactically during combat to gain the upper hand. For instance, with the three styles available at the start, Prospects can parry, avoid, or absorb attacks. Other Combat Styles exist in the lands of Adal besides the three styles initially available, and as they explore Raslan, Prospects can also become Mentors and teach others the subtleties of their play style. Becoming a student therefore allows Prospects to learn new combat styles, and to use their Mentor’s Combat Deck. The depth of the combat system develops further with additional mechanics. Perfect attacks, for example, reward precise timing and flow by allowing successive attacks to chain faster and stun the enemy longer. Feints, alternatively, enable players to cancel their attacks during build-up and play mind games on their opponents. The energy within Tension Shards — glowing crystals which fill up during combat — can be used to trigger powers which can change the tide of a fight, or to draw a weapon. Weapons do more damage than bare fists, and come with their own Combat Deck, making it harder for opponents to anticipate one’s moves. We reached our objective. 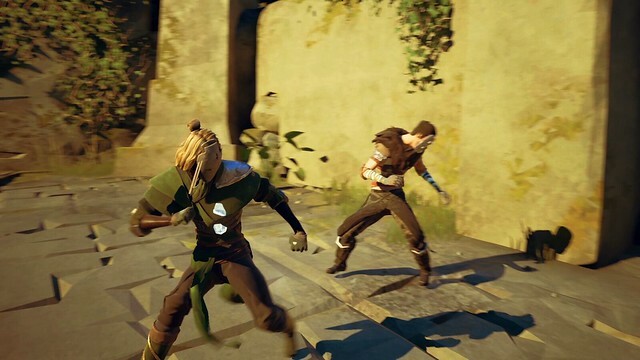 The core gameplay of Absolver is accessible and doesn’t require high levels of dexterity to be played, but players will be challenged on other skills; timing, reflexes, observation, and memory will all be put to the test, and with the interplay of all the different mechanics above, there is enough depth to make all fights unique. We have great fun playing tournaments inside the studio, and we hope that players will enjoy it as much as we do when the game launches on August 29! Yes, PS4 Pro support is planned ! I’ve been following this game for quite a while and im very excited for it’s release! A few questions though: A lot of the posts and announcement about the game focus on the core game mechanics, the martial arts and combat system ( at least that’s all I’ve seen. if there are any other articles of other features within the game i love to see them). What about the characters themselves? Is there character creation? Shops for clothing or armor? weapons? @dazhX223: Characters are fully customizable; check out https://youtu.be/1B19GWERxMk?t=8m30s for a sneak peek are gear and equipment. Wargloves and swords can be used during combat: when using a weapon, you switch from your “Bare Hands” combat deck to your “Weapon” Combat Deck. Stay tuned for more information ! Been interested since it was announced. The price point hasn’t been announced yet – stay tuned ! I love the style and approach to this game. I find myself liking certain fighting games more than others so I’m interested if this one will “stick” for me or not. Will there be a demo or trial period so we can test it out for ourselves? Definitely buying this day 1 this should blow For Honor of the map. Will there be moves inspired by the drunken style in Absolver? Def going to make this part of my collection. Will there be any single player component? This looks amazing, but I rarely get a chance to play online. Players will meet each other seamlessly when exploring the fallen city of Raslan, so the narrative, social, and adversarial experiences are blended together. The game can also be played offline however. The idea is great but…how cosmetically different can my character be from the other thousands of players. And hoping there are a lot of stages…areas for combat because itll get dull soon….Heard this was a F2P with loot boxes for cards. maybe? Dozens of equipment pieces can be found, as loot in the world, or as rewards for PvP game modes; each piece of equipment has different color variants, and sometimes “special” versions – so your character can become really unique. Check out : https://youtu.be/1B19GWERxMk?t=8m30s for more information on customization. We also intend to update the game post launch, with additional equipment, stages, game modes, etc. The game will not be F2P though (price point will be announced at a later date); attacks are not found in loot boxes, but via attack learning system, against NPCs or players.